A hinged door provides easy entry and exit, and a touch of at-home convenience. 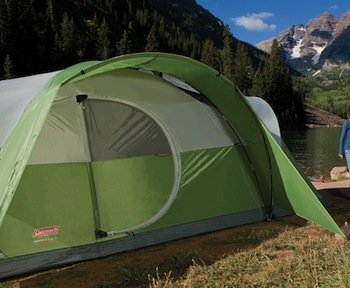 Ideal for outdoorsy families and extended camping trips, the Coleman Montana 8 Tent offers a full feature set for a fun family camping experience. It sleeps up to eight comfortably, thanks to a generous 16-by-seven-foot (W x D) layout and spacious center height of six feet, two inches.